Over the last few years we have seen our ministry, The Prayer Relay Movement grow continuously. God has continued to use our team to minister to a wider range of individuals across the world. It has been a truly humbling experience, seeing God use us to minister his kingdom, and be an extension of his love to these people, many who we may never physically meet in this lifetime. And every word, every miracle, every testimony is just as mind-blowing as the last, because one begins to recognise just how great this God really is. How great his grace is, that he would use such imperfect individuals to minister his perfect love! A great lesson that has come in this year is that we ought to focus more on empowering people to also take this and use it to impact others. God’s purpose is not to raise the Prayer Relay Movement, although he is raising and will continue raise it. His purpose is to make disciples who will go out and reach wider. I believe the reason why Jesus took the fishermen to sea even after they had toiled without result was to show them a few things. Even on the right course, doing the right thing you may fail, simply because you have not taken the Lord with you where you have gone. Your expertise is inefficient if it is not directed by him. It doesn’t have to make sense. Peter and his team knew about fishing, Jesus did not. However he directed them on their successful mission, even when their own experience, skill and expertise had failed them. His directions stood against everything they understood about fishing. Yet Peter said, “…but if you say so Lord, I’ll cast the net.” It did not make sense to him, yet he was obedient to the Lord’s command. The net has a great prophetic significance here. Jesus equipped the disciples and set them out as fishers of men. The more people you equip and release the wider the net is. The wider that net becomes the more fish it is able to reach. This is the purpose that Christ has for us, the call of the great commission. 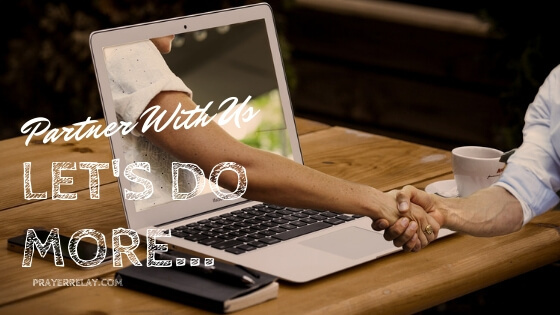 To go out and make disciples, who will also go out and make disciples. 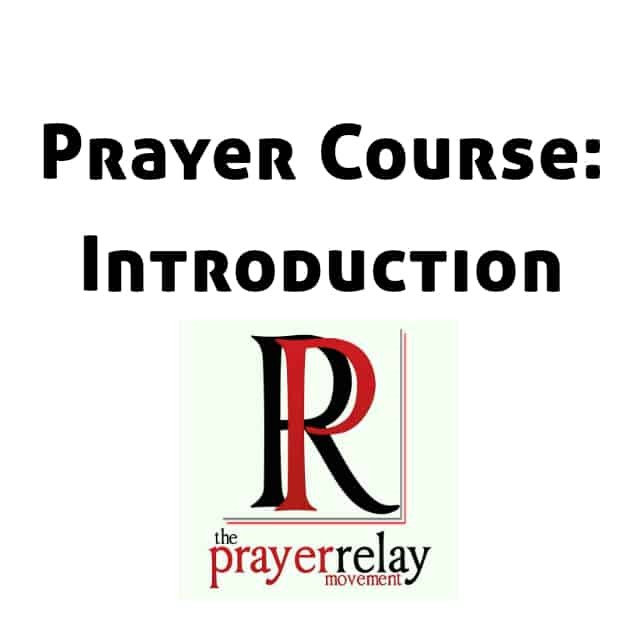 WHY TAKE THIS free prayer COURSE? John and Jesus both had to teach how to pray, it should never be left untaught. Sadly while ministering with the Prayer Relay it has become more and more evident that many simply do not know how to pray. We have received many questions about prayer; have encountered individuals who have been made to pay for prayer, which deeply saddens us. Freely we have received, so freely we give as well. I recently learned while listening to the late, Dr. Myles Munroe, a great truth about prayer that had never occurred to me. The only thing that the disciples ever asked Christ in all the time that he spent with them, the only thing they ever asked to be taught was PRAYER. Most other skills that they’d need to turn the world upside down were picked up just by watching Christ, yet this was not possible for prayer because it was always a private and personal experience for Christ. Every individual, every ministry and every organisation should be anchored by prayer in all that they do. Prayer should be the foundation of all our work. It should be the light that paves our way before we set out to do anything. I can never overstate the importance of prayer. 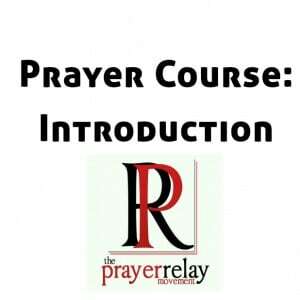 This course will equip you with the understanding of prayer, and explore methods that were used by some of the greats that walked before us. Make the most of this. The course can be taken at one’s own pace. Ideally you can take it over a period of 14 days/weeks. This can be delivered directly via email. You will have a choice to receive a certificate of completion when you have finished. The course will offer you an examination to take at the end of the 14 lesson period. The examination will allow for you to be awarded a certificate that shows your marks if you successfully complete it and desire to have one. To your safe list or contact list.